Frasier suites doha has the most proffesional most helping staff i have seen in my life.i am.not giving any name affraid to forget one as they all deseve an outstanding award the location is very nice the rooms are spacious and very clean. The staff was nice and friendly. The place is clean but the lighting of the bathroom is weak, specially for the elderly with spectacles. The staff are great, they are friendly, approachable and accommodating. The place is close to the Corniche, Souq and MIA is just walking distance. Very friendly staff specially the young lady in the reception unfortunately I didn't catch her name she was so amazing, welcoming and helpful . Fraser Suites Doha feels like a home away from home. Started booking here in 2013 and since then I’ve always opted for this specific hotel whenever I need a break. Yes the other hotels have beach facilities and so on but Fraser’s Staff are like a family and they always make you feel so welcome. The in room dining is amazing as well! I literally order pasta at 3am every time I go there. All the staff in the hotel are very helpful & professional. I really enjoy my stay at this hotel and I will come back to it in my next visit. 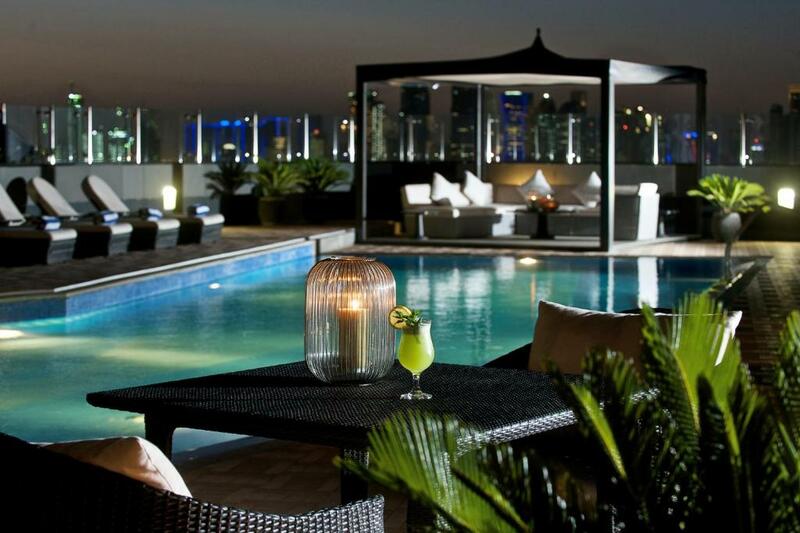 Lock in a great price for Fraser Suites Doha – rated 8.6 by recent guests! 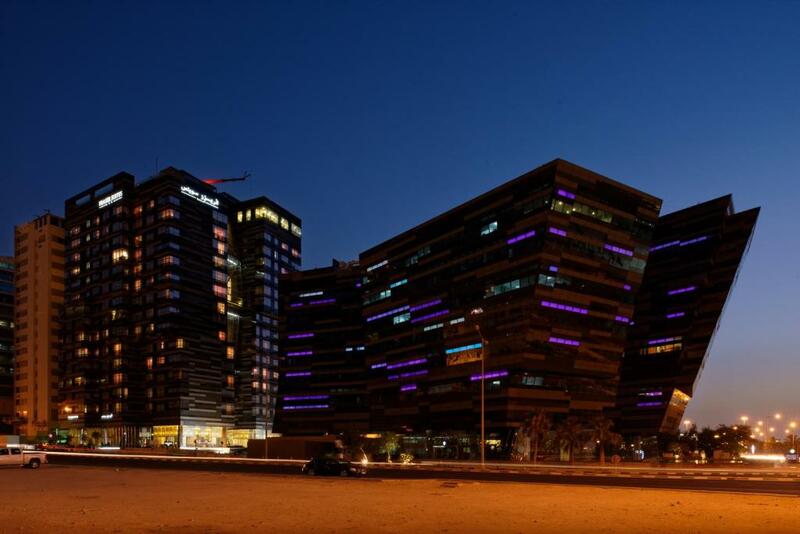 Fraser Suites Doha This rating is a reflection of how the property compares to the industry standard when it comes to price, facilities and services available. It's based on a self-evaluation by the property. Use this rating to help choose your stay! Right on the waterfront, along the Corniche promenade, these modern and spacious studios and apartments are in the heart of Doha. There is an outdoor pool and a panoramic gym. With views of the Doha Port and Indian Ocean, the 5-star Fraser Suites have a sitting area with a flat-screen TV and an iPod docking station, and a kitchenette with a dining area. The bathrooms offer luxurious toiletries and a hairdryer. Every morning, a continental breakfast is served in Fraser’s restaurant. There is also a trendy bar and an adjoining lounge area. Guests can enjoy wide views of the city from the fitness room, which has large windows and modern equipment. Fraser Suites Doha also has a sauna and a massage service. Free private parking is available on site. The Doha Museum and the lively Waqif Souk are a 10-minute drive from Fraser Suites. The 24-hour front desk can help arrange trips to Doha’s main sights and attractions. When would you like to stay at Fraser Suites Doha? This fully equipped air-conditioned Family Suite offers 3 units of studio types inter connected. Standard amenities include free WiFi, a flat-screen TV, a kitchenette with a dining area and 3 bathrooms with luxury toiletries and a hairdryer. Standard amenities include air-conditioing, a flat-screen TV and iPod docking station, a kitchenette with a dining area, and a bathroom with luxury toiletries and a hairdryer. This air-conditioned apartment offers a separate living area. Standard amenities include a flat-screen TV and iPod docking station, a kitchenette with a dining area, and a bathroom with luxury toiletries and a hairdryer. This fully equipped air-conditioned Family Suite offers 4 units of studio types inter connected. Standard amenities include free WiFi, a flat-screen TV, a kitchenette with a dining area and 4 bathrooms with luxury toiletries and a hairdryer. This twin/double room features a tumble dryer , microwave and air conditioning. Please note that this room type does not allow extra beds. This double room features a washing machine, electric kettle and kitchenette. Ascend to your luxury accommodation in Doha via a glass lift that looks out to the gleaming skyscrapers and the spectacular West Bay, and indulge in the comfort of sophisticated Italian furnishings and modern conveniences, while the complimentary Wi-Fi ensures you are always connected with your friends and associates. Guests at Fraser Suites Doha are assured of the space, tranquillity and privacy that come with each of the 224 sophisticated serviced apartment residences, with stunning views of the panoramic Arabian Sea or the spectacular city skyline. Corporate guests on executive floors may enjoy exclusive use of a VIP lounge which makes a perfect setting for private business meetings. House Rules Fraser Suites Doha takes special requests – add in the next step! A QAR1000 damage deposit is required on arrival (around USD274.63). This deposit will be fully refunded at check-out, as long as there isn't any damage to the property. Fraser Suites Doha accepts these cards and reserves the right to temporarily hold an amount prior to arrival. Please note that every Sunday and Wednesday from 10:00 AM to 05:00 PM, the outdoor pool is reserved for female guests. A damage deposit of QAR 1000 is required on arrival. That's about 274.63USD. This will be collected as a cash payment. You should be reimbursed on check-out. Your deposit will be refunded in full, in cash, subject to an inspection of the property. The swimming pool is opened for both men and women at the same time, which is not acceptable in our Arabic and Islamic countries. Expensive for what it is. The swimming pool wasn't heated. Great location and easy access to venues close by. Bathrooms were a little dark. Good location. Decent sized room. Very convenient location not far from airport thus avoiding all the traffic jams. Nice rooftop swimming pool. Good breakfast. The staff was really unprofessional special one filipino lady she is really work as don’t know how to deal with gust and speak with colleague about the guest this is unprofessional at all. No thing was unrecpictable trip and place unprofitable lady. Pool area was being repaired. Location. Staff. Room. Great views. Didn't have a tumble dryer in the room which would of been very handy. The bed and pillows were very comfortable. The executive double room was spacious and had a washing machine. The staff are very friendly and accommodating to all requests. Having access to the roof top pool was awesome and so relaxing. Enjoyed breakfast each morning. Before checking out they are making charges and deduct it with your cash deposit with no valid reasons and considerations. Feel sad for what happened during our last stay at Fraser.